Of Georgian Bluffs, peacefully at Grey Bruce Health Services Wiarton on Tuesday, July 22, 2014. 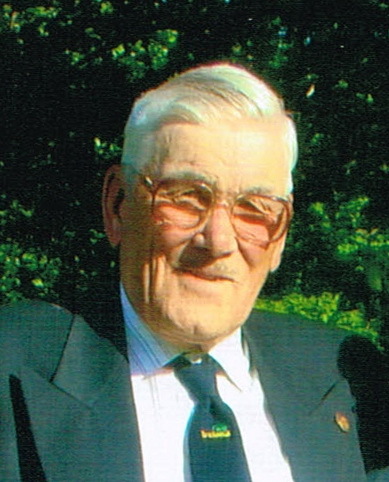 Clayton Edward Henry at the age of 91 years. Loving father of Wayne (Freda), of Georgian Bluffs, Doug (Patricia), of Chatsworth, Ruth (Larry Krieg) and Gail Bray (late Jim), both of Wiarton, Sheila (Gary Gilbert), of Georgian Bluffs, and Penny Henry (partner Pat Holman), of Lion’s Head. Proud “Gramps” of 10 grandchildren and 9 great-grandchildren. Brother of Norm Henry, Bev Henry, Bernice Taylor, and Eric Henry; and brother-in-law of Carrie Given. Sadly missed by his many nieces and nephews. Predeceased by his wife Gwendolyn (nee Brown), in 1991; partner Freda Kent (2013); parents Robert and Edith; brothers John and Mel; and sisters Olive, Eliza, and Elda. Family invite friends to gather at the Thomas C. Whitcroft Funeral Home & Chapel, 814 Bruce Rd. 8, Sauble Beach (519) 422-0041 on Thursday from 2-4 and 7-9 PM, where a service to celebrate Clayt’s life will be conducted from the chapel Friday morning at 11 o’clock. Interment in Bayview Cemetery, Wiarton. Donations to the charity of your choice would be appreciated.